The enviably green, eco-conscious New England state of Vermont (population, 623,657) has been promoting Stay to Stay Weekends, defined by its tourism office as three-day lodging and networking packages for visitors interested in becoming Vermonters. Future weekends include one in mid-summer, August 10-13 and one in the fall, October 19-22. 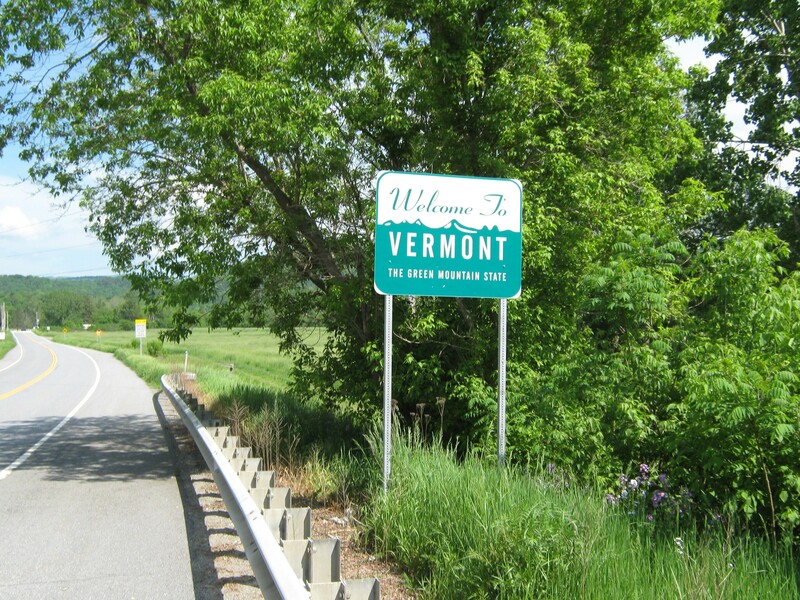 The purpose is to connect guests to employers, entrepreneurs, and potential neighbors in three specified local communities around Vermont: Bennington, Brattleboro and Rutland. 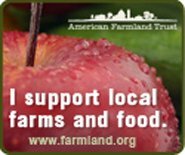 We have long noted the impressive standing of Vermont as a green state with its strong commitment to protecting the environment demonstrated by the extraordinary number of community supported agriculture farms committed to organic and conservation agriculture while also building community. Our directory of CSAs in Vermont lists a remarkable 60 farms. And a recent exhibit at the Vermont Historical Society, Freaks, Radicals and Hippies: counterculture in 1970s Vermont, rightly emphasized that the American local and organic food movement, now so vital across the United States and Canada, had its beginnings, in some good measure, in the back-to-the-land movement, which was a big part of the counterculture in 1970s Vermont. The results of the seventh annual Locavore Index recently announced by the non-profit, local food advocacy organization, Strolling of the Heifers are another indication that Vermont deserves its reputation as the greenest state in the U.S. The organization’s Locavore Index ranks the 50 states (plus Washington, DC and Puerto Rico) in terms of their commitment to local food. Seven different data sets were researched and compiled in creating the rankings. Vermont again tops the list, as it has since the first Locavore Index was compiled in 2012. The rankings for 2018 are not the result of any bias of Strolling of the Heifers, based just north of Brattleboro in East Dummerston (Wyndham County) in Vermont. According to Orly Munzing, executive director of the organization, Strolling of the Heifers is all about the idea that growing and consuming local food is better for everyone. The Locavore Index is how we track and encourage more efforts in every state to spread the benefits of healthy local foods and strong local food systems. The top ten (in order) for 2018 were Vermont, Maine, Montana, Oregon, New Hampshire, Massachusetts, Washington, D.C., Hawaii, Wisconsin and Rhode Island. A map of the United States (including Puerto Rico, shown as an island off the coast of Florida) uses dark green to designate the top ten and brown to designate the bottom ten with the weaker commitment to healthy local food. Might some states at the bottom of the rankings seek to turn their color on the map from brown to green or at least to a shade of tan? The bottom ten (starting with the lowest ranked state) are Texas, Nevada, Louisiana, Puerto Rico, Arizona, Florida, Oklahoma, Utah, Alabama, and Illinois. The seven different data sets used in the rankings are (1) farmers markets per capita (weighted 10%), (2) CSAs per capita (weighted 10%), (3) farm-to-school participation rank (weighted 15%), (4) food hubs per capita (weighted 5%), (5) direct sales by farmers to consumers (weighted 25%), (6) USDA grants for local food production, specialty crop block grants, farm-to-school grants, and farmers market promotion grants, per capita (weighted 20%), and (7) hospitals serving local food (weighted 15%). The state of Vermont was ranked #1 in each category except for farm to school participation where it ranked 9th and in the USDA local food grants category where it was ranked 4th. The state of Rhode Island was ranked #1 in farm to school participation, and North Dakota was #1 in USDA local food grants per capita. While Strolling of the Heifers is best-known for a weekend of events built around an agriculturally-themed parade, featuring well-groomed heifer calves led by future farmers (that takes place this year June 1-3 in Brattleboro), the group has focused its year-round programs on economic development work in the farm and food sectors, with the specific goal of creating jobs by working to foster small business entrepreneurship.